We aim to reach out and help people along the journey. Experience heartfelt worship, good friends and a refreshing look into God’s Word in a comfortable, casual setting. Our church is committed to coming alongside families in a way that helps. 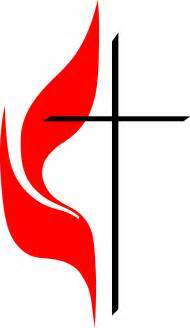 The purpose of the United Methodist Men is to provide a dedicated ministry for building men spiritually and involving men in the total ministry of the Church. Men’s ministry leads to the spiritual growth of men and effective discipleship. This purpose is served as men are called to model the servant leadership of Jesus Christ, to enhance evangelism, mission, and spiritual life, to assist men in their ever-changing relationships, roles, and responsibilities in the family, at work, and in society. Our United Methodist Men meet for breakfast on the second Saturday of each month at 8:00 A.M. They have a program six times a year with interesting speakers. Their funds are used to help the church and community. All men are invited to attend. Also, we have a Men’s Bible Study that meets every Tuesday morning at 7 am at Jack’s on Rainbow Drive.